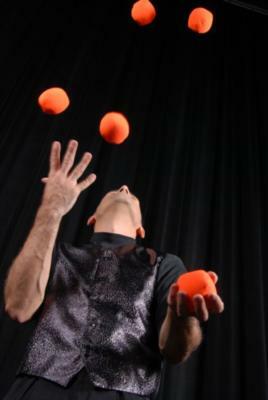 Barry has been a been a professional entertainer for 26 years and has been all over the world. 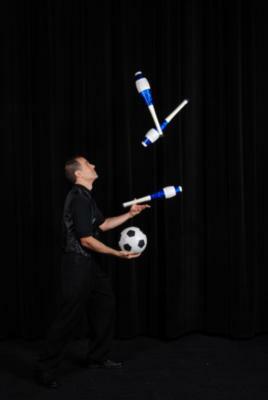 His show includes magic, juggling, unicycling and comedy. He works as a featured performer for the major cruise lines -- including Disney, Royal Caribbean and Celebrity. In 2007 he appeared on "The Late Show With David Letterman". Don't miss the demo video. Barry is based on Florida's Southern East Coast and is available to bring the highest quality entertainment for your events. Please note Barry's Magic & More will also travel to Fort Pierce, Indiantown, Port Pierce, Okeechobee, Palm City, Jensen Beach, Stuart, Vero Beach, Port Salerno, Winter Beach, Hobe Sound, Wabasso, Fellsmere, Canal Point, Sebastian, Jupiter, Bryant, Pahokee, Tequesta, Roseland, Barefoot Bay, West Palm Beach, Palm Beach Gardens, Lorida, Loxahatchee, Grant, Palm Bay, Belle Glade, North Palm Beach, Lake Park.